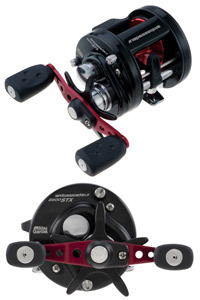 The newest additions to the Ambassadeur round reel family. High performance components and features, including a multi disc drag system, synchronized level wind with improved line lay and 6 pin centrifugal brake gives consistent pressure throughout the cast.  4 stainless steel ball bearings + 1 roller bearing provides smooth operation.